Many women (and doctors, for that matter) overlook the importance of establishing a healthy cycle as the first step to improving your fertility and preparing for healthy conception and pregnancy. If your reproductive cycle isn’t healthy, things aren’t lined up properly for getting pregnant and staying pregnant. Trying to get pregnant with an unhealthy cycle is like trying to bake cake before stirring the ingredients together while also leaving out a few of the most important ones. It just doesn’t work. At least not that well. Your cycle depends on your hormones for everything. Think of your hormones as the control tower telling your ovaries and uterus exactly what to do and when do it. Without the control tower, planes would crash into each other or maybe fall out of the sky. Your hormones orchestrate the entire fertility process from the building of your uterine lining, maturation and release of your egg, ovulation, implantation, pregnancy and your period. Without balanced hormones communicating clearly and in the right order, your eggs may just fall out of the sky or crash into each other, so to speak. A healthy regular cycle (not too long, not too short, good blood flow, etc.) means your eggs are getting the nutrients, hormones and the right amount of time to mature. They’re not undercooked or overcooked. They’ve got the ingredients they need to thrive and result in a viable pregnancy. A healthy cycle means blood flows smoothly to and from your uterus. Your lining sheds completely without leaving old blood behind that may cause blocks. Your lining builds up nice and thick with the yummy nutrients to nurture a growing little embryo. What can you do to improve the health of your cycle? Many factors can contribute to an unhealthy cycle, like stress, lifestyle, diet, nutrition and genetics. But there ARE solutions! 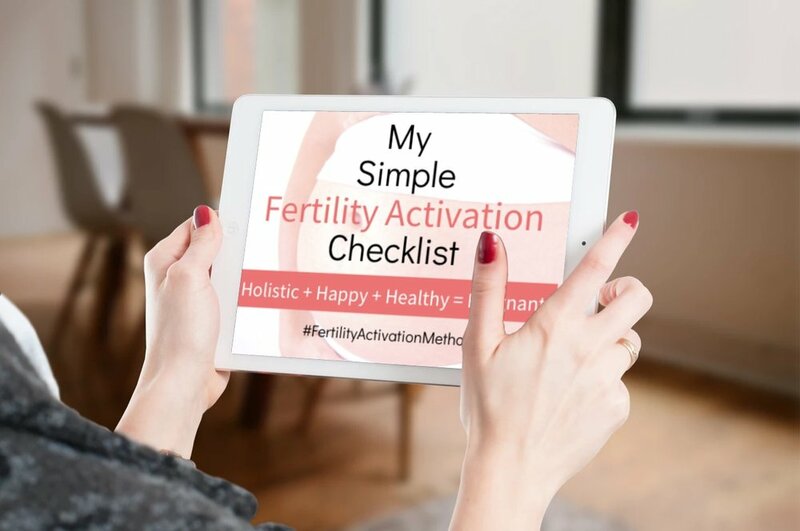 You can learn how to take control of your cycle and ultimately...your fertility. What do menstrual clots mean for your fertility? Light yourself on fire and get pregnant?